Monitor Calibration - It pays to get it right. "Essential for Colour and Brightness Consistency"
Accurate monitor calibration is essential if you want consistent results. More than that, it is worth taking the time necessary to calibrate all of your devices correctly so that the image you photographed or scanned looks the same on your monitor, printer and website as it did in "real life". 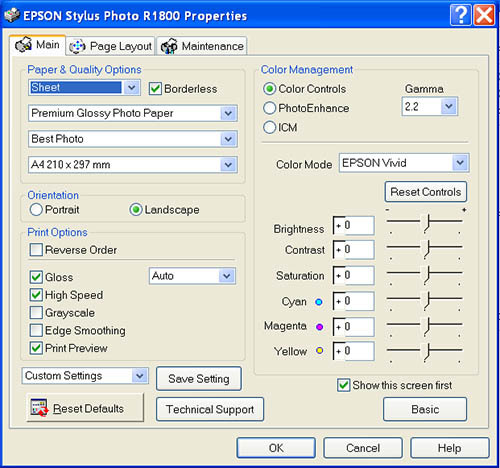 I have a Colorvision Spyder 2 and Epson R1800. Pictures from the printer are much darker than expected. What is the correct technique? Like you, I have an Epson R1800. 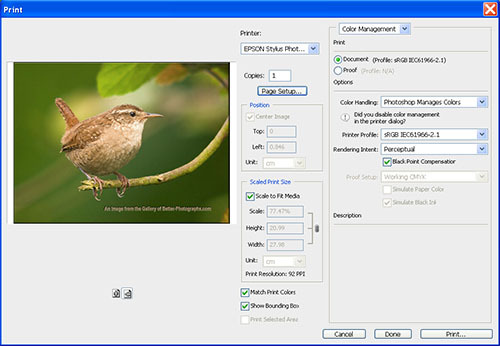 Here are two screen-shots showing the settings I use - in this case for Epson A4 Premium Glossy. I always use Epson Inks. These settings give me prints which match an image on my Acer AL1921 monitor precisely and the original photographed subject. My monitor is calibrated correctly using Adobe Gamma and verified using a calibrator. As a first step, I suggest you try calibrating your monitor using Adobe Gamma (free with Photoshop) to check that your Spyder is set up and functioning correctly. If this doesn't crack the problem I suggest you check you are using the correct paper profile. 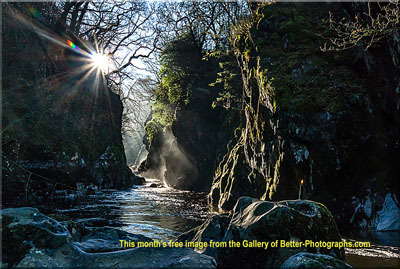 Return from Monitor Calibration to the Photography Tips page.